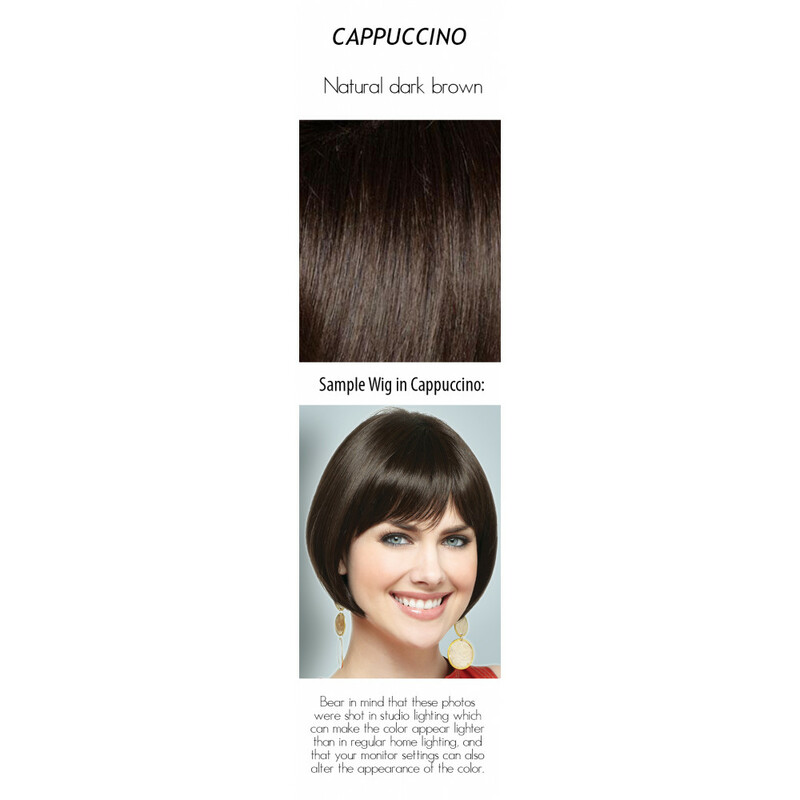 One of Noriko’s best sellers now available in a partial monofilament cap! 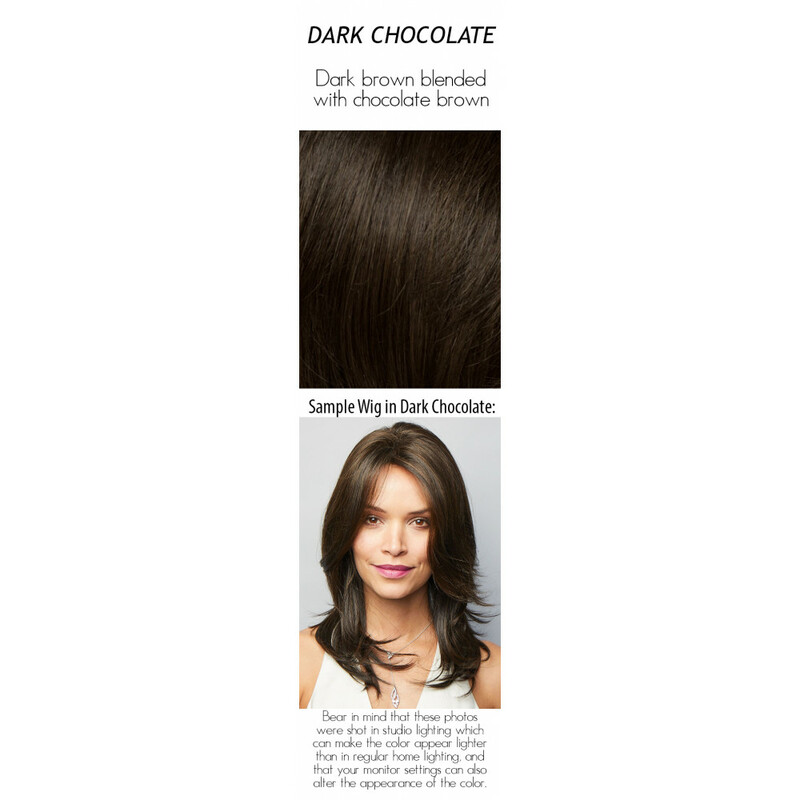 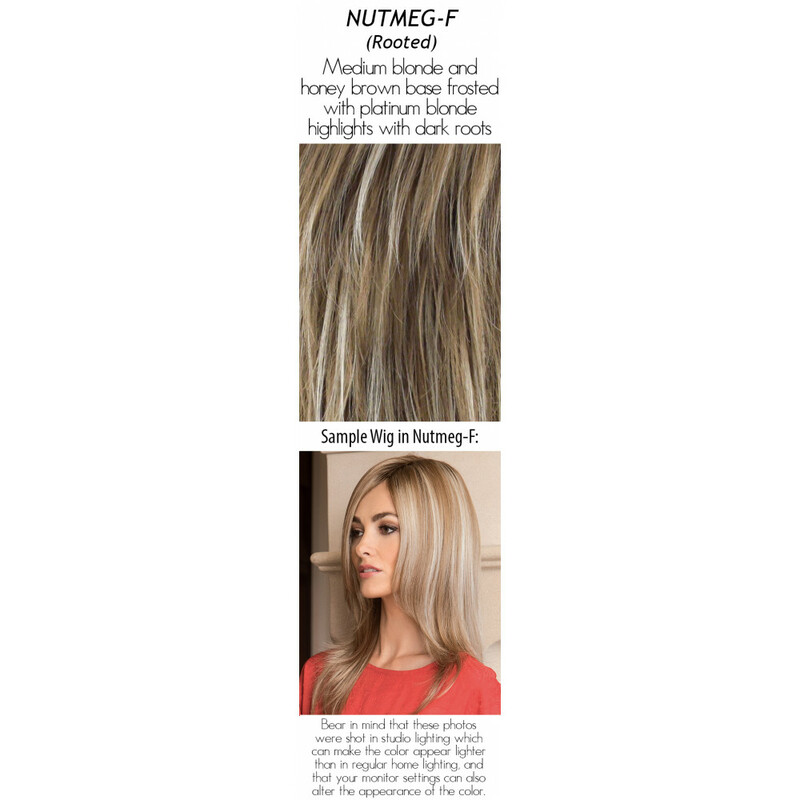 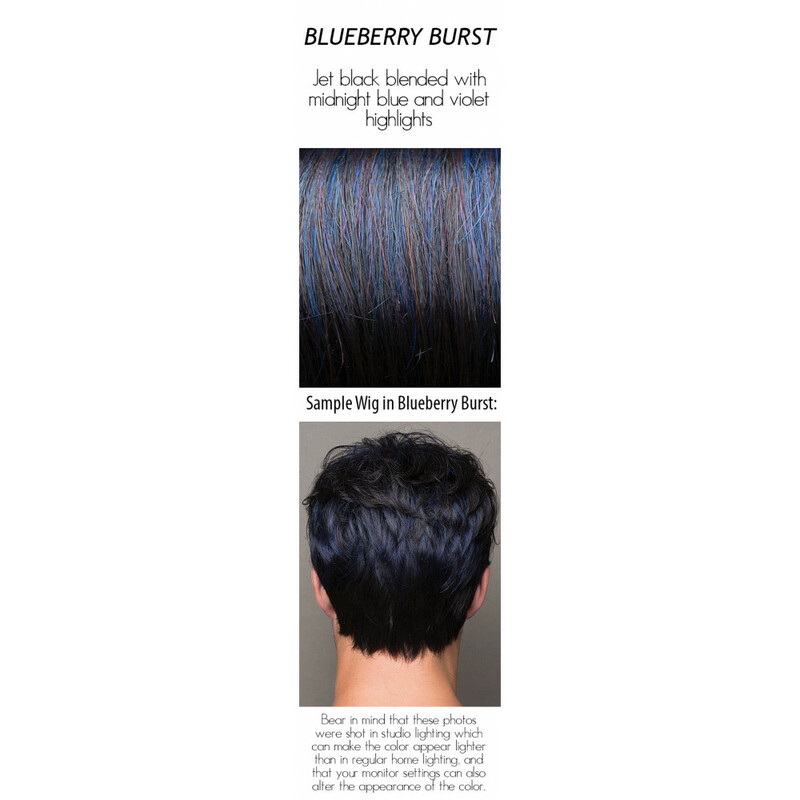 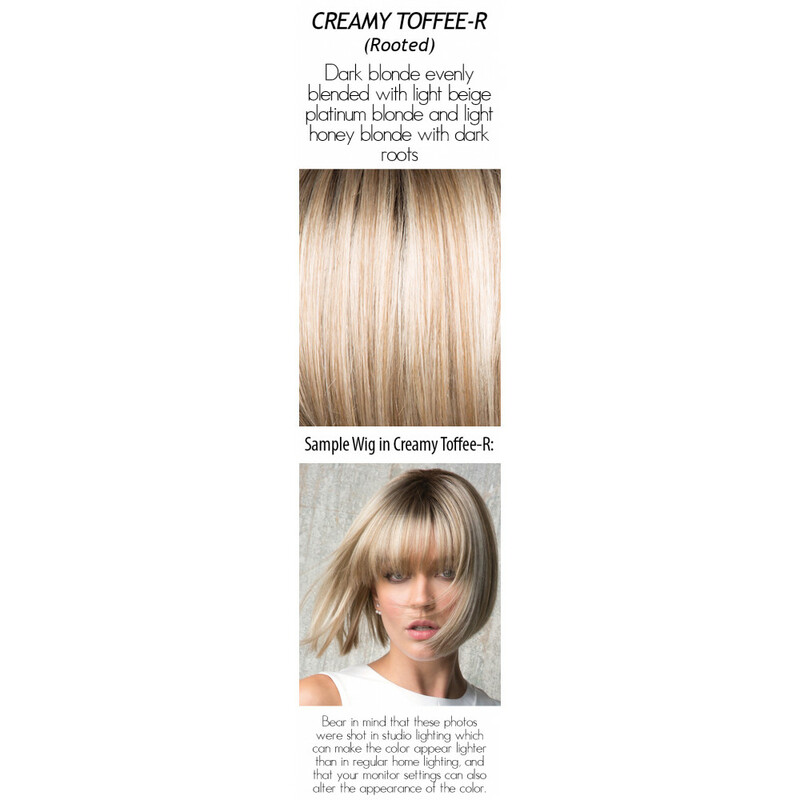 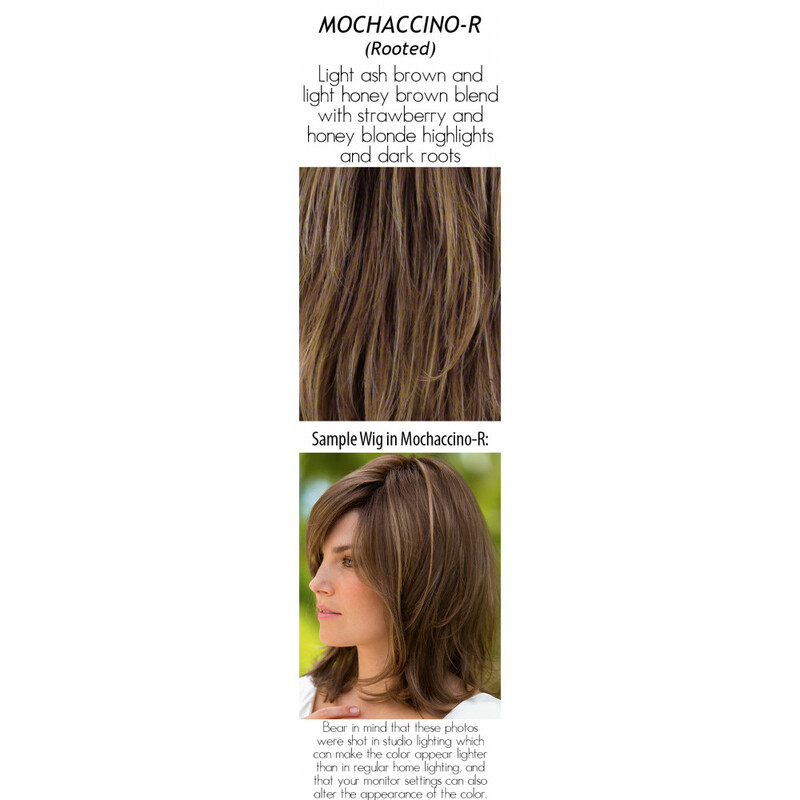 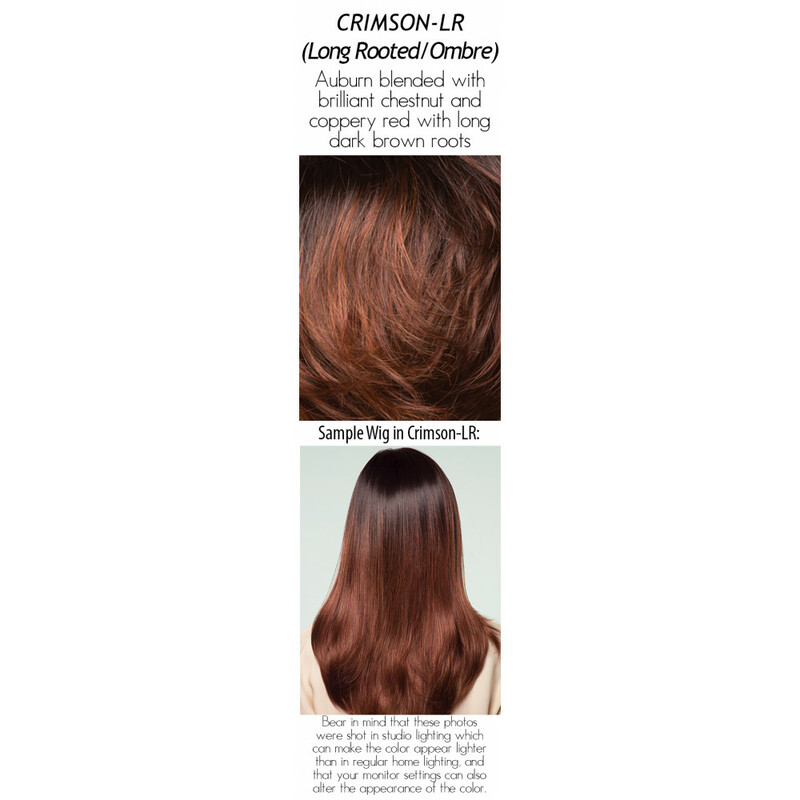 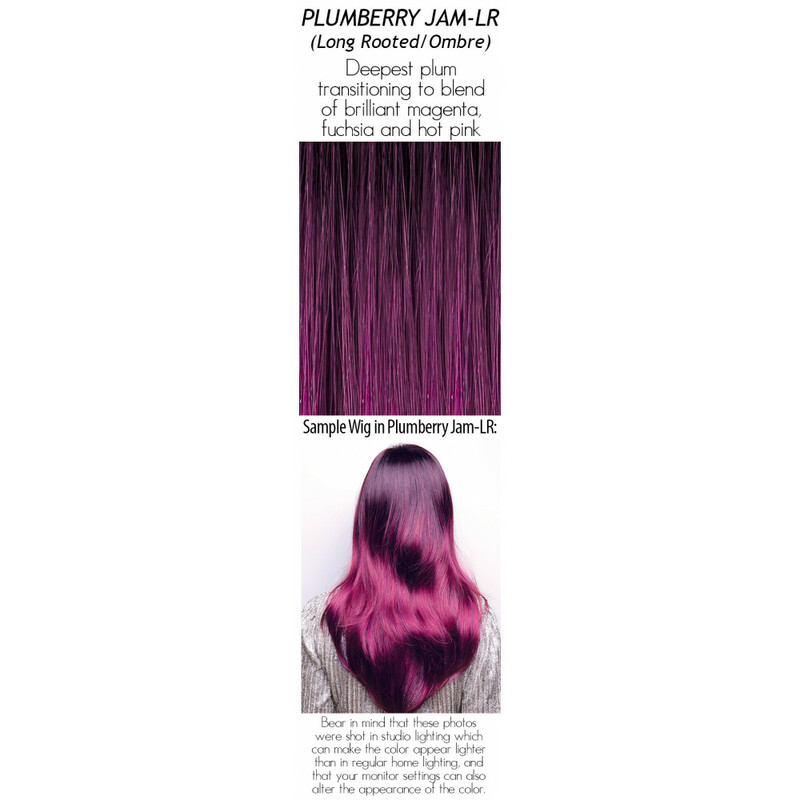 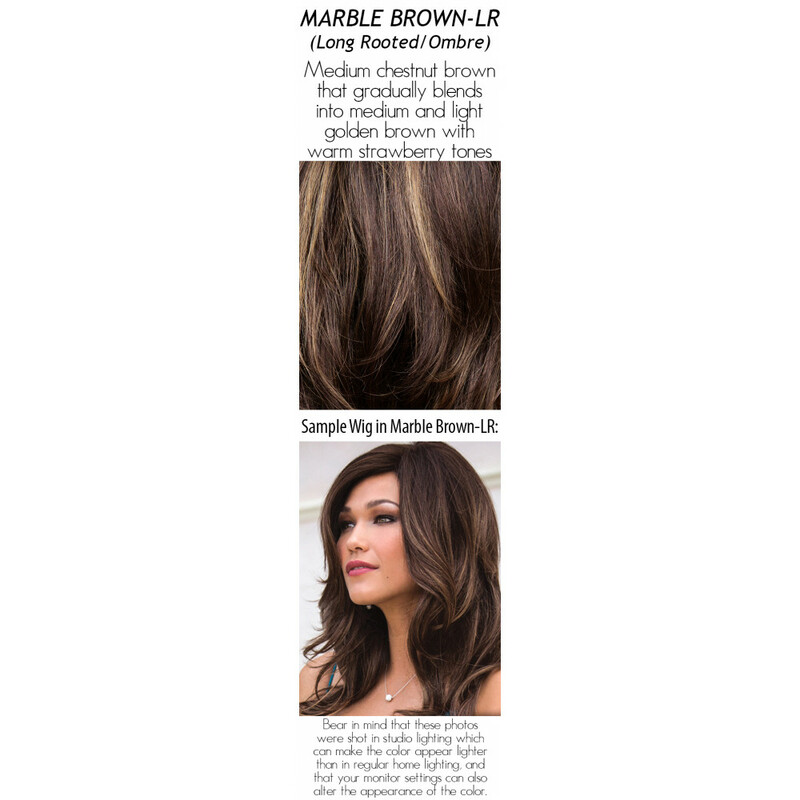 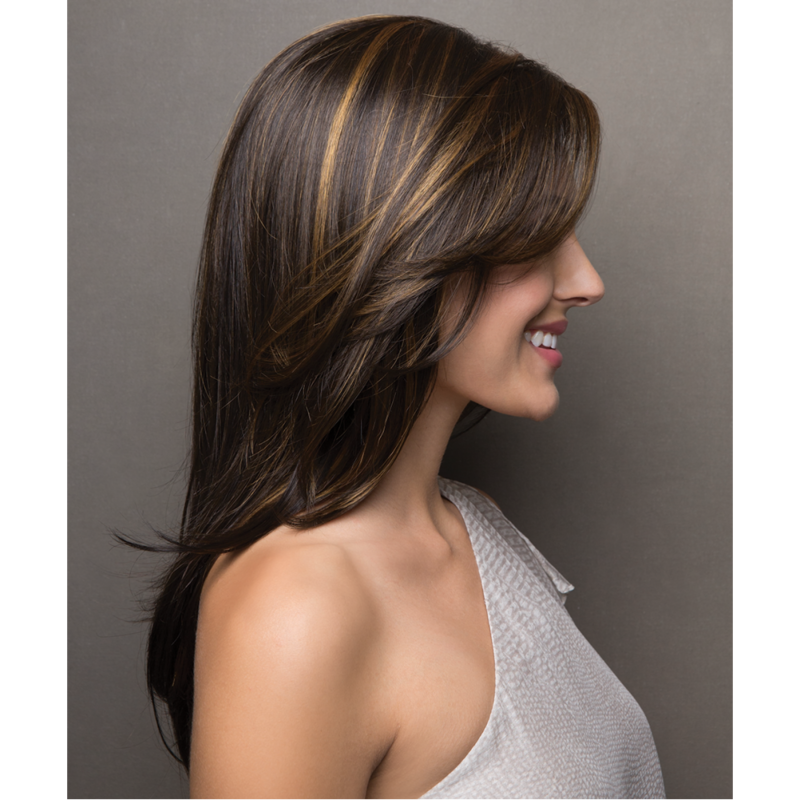 Angelica Partial Mono (Angelica PM) has all the comfort features that you want, with the natural look of a hand-tied monofilament part and front available in all the latest Noriko salon colors and rooted colors! If you've worn the Angelica, you'll love Angelica PM! 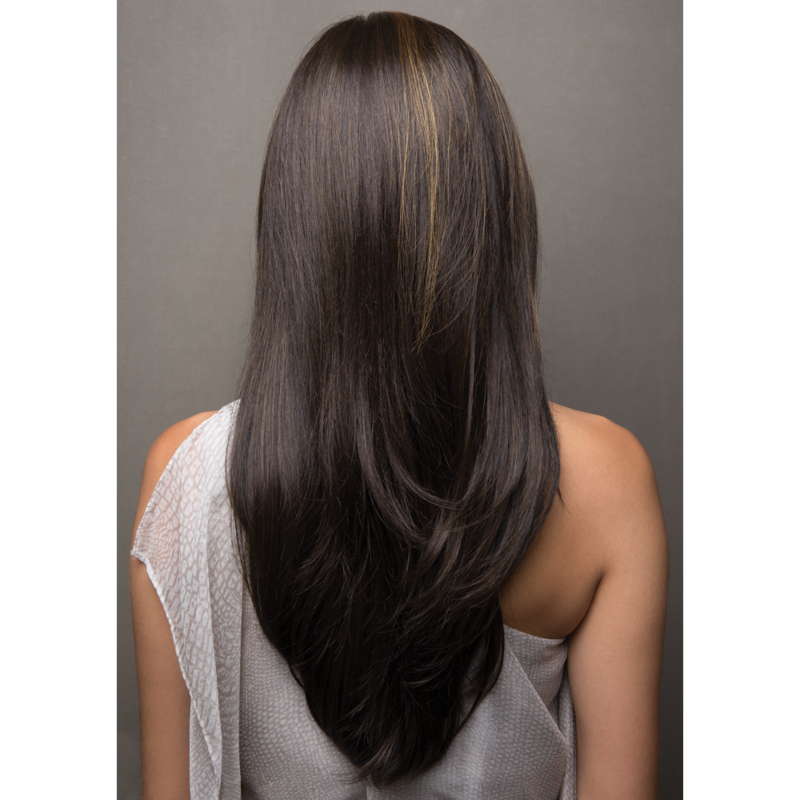 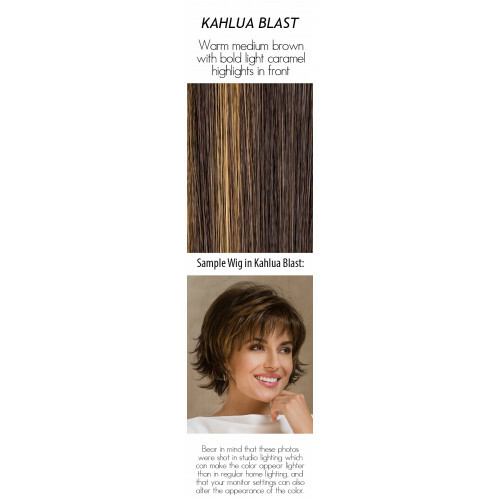 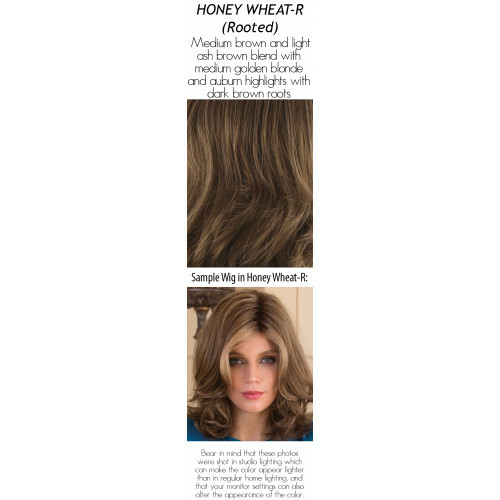 The large monofilament part is hand-tied and sheer to give the illusion of hair growth where it's parted, and along the entire front for a super natural look that's as gorgeous as wigs twice the price! 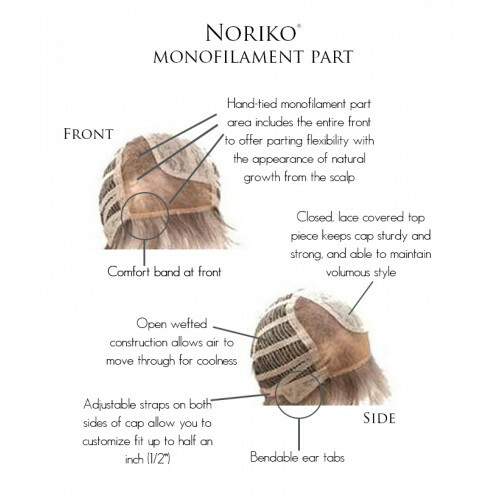 The sides and back of the cap are designed with open wefts to allow the air to come through for coolness. 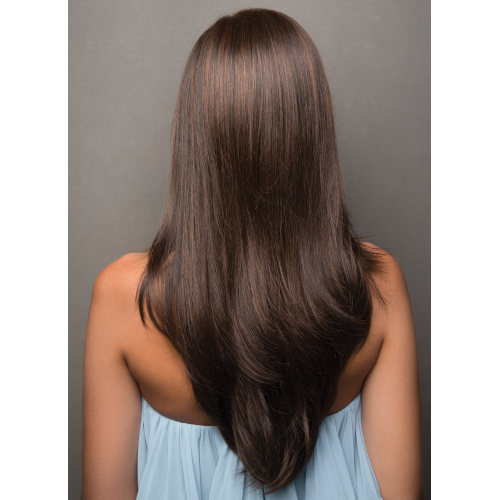 Long, textured layers fall to mid-back in this full, “flowy” design. 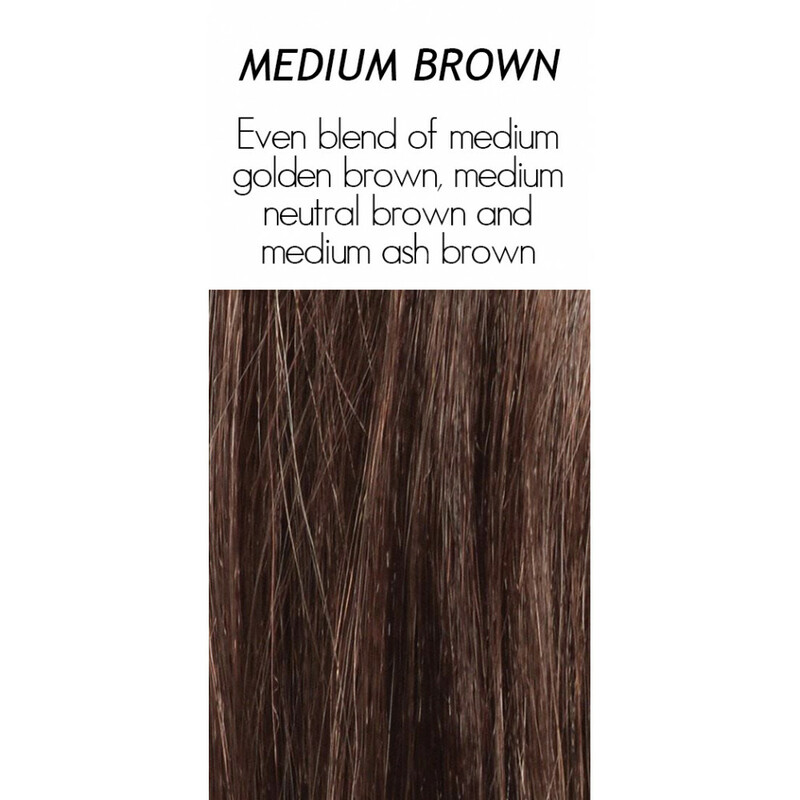 Opt for the rooted colors for an even more natural look. If you don't tell anyone it's a wig, they'll never know! 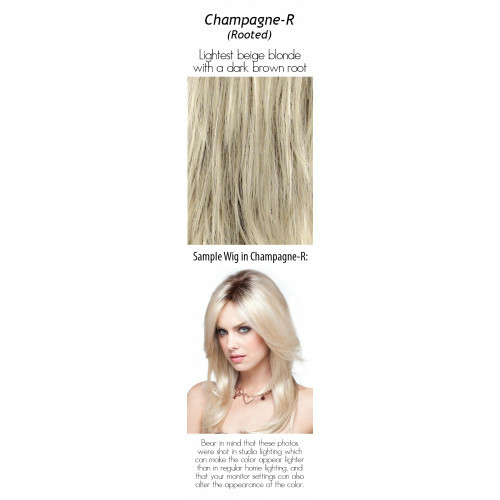 Hair Lengths: Fringe: 8.5" | Crown: 16.1" | Nape: 16.1"